Punch Tools has developed a wide variety of specialized industry knowledge while developing mirror image punch technology for the windows and doors industry. We have developed several industry advancements that separate us from our competitors. For example, our multiple tiered, holes within hole punching methods. Our designs are critical for projects that require: perfect design alignment, mating left and right or top and bottom parts, custom mullions, and multiple hole clusters punched in the perfect position every time. From working with intricate extrusions to efficient design punching presses, we can make the perfect custom solution to fit your project. Two matching mirror image punched aluminum extrusions used to mount either a vertical custom window mullion or horizontal muntin/transom. 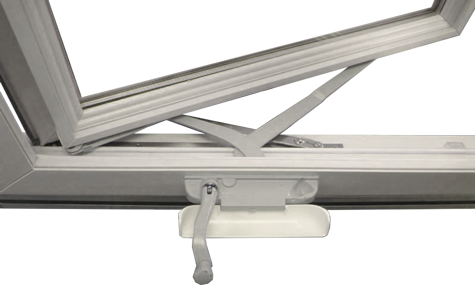 An example of window crank installed in a press punched window sill frame opening a casement window. 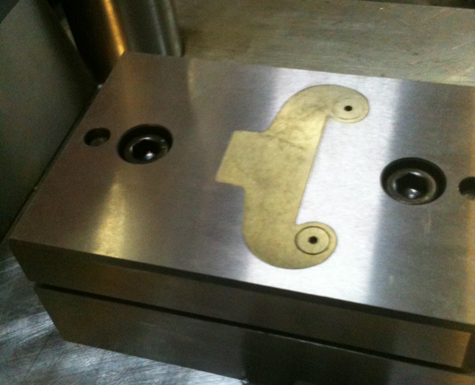 Our stand alone hydraulic punch presses feed left to right through to a razor/tiger stop. Straight forward to use for the perfect punch everytime. 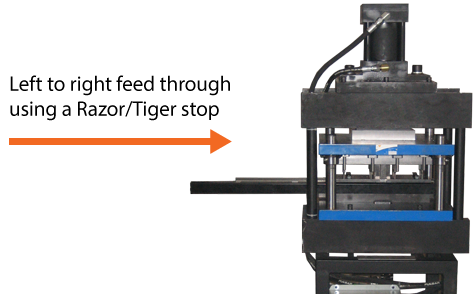 See the Mirror Image Press in action. 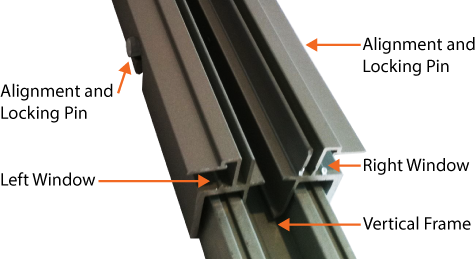 Below: an example window aluminum extrusion piece highlighting the placement of the different points of interest on our specialized mirror image mounts. 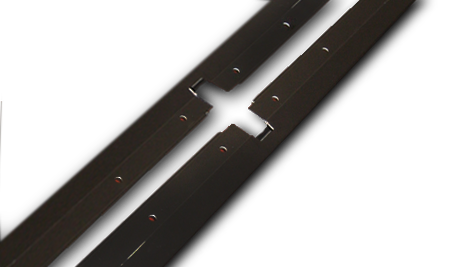 Using our custom designed punching tools we are able to place the holes for your projects design within difficult locations and even a secondary punch withing a primary punch at the same time. 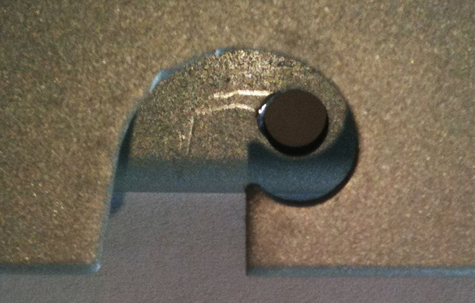 An example of our tooling ability to place punched holes, within holes on our window and door extrusions. 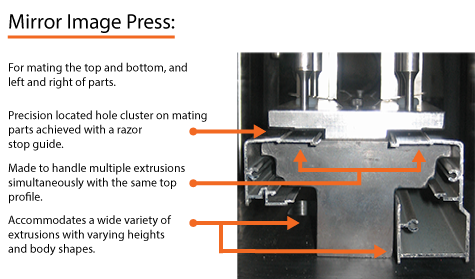 A Punch Tools proprietary punch design.